Here at Strata we recognise our responsibility to minimise the environmental impact of our operations. We are passionate about reducing our carbon footprint, and that of our clients. 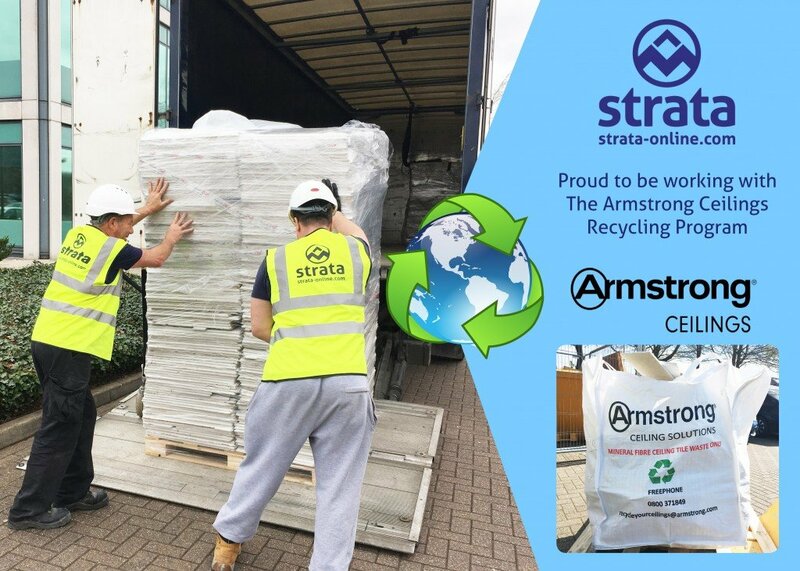 As part of our continued sustainability efforts, we are pleased to be recycling ceiling materials from our refurbishment projects with Armstrong World Industries. Since 1998 the Armstrong ceiling recycling program has diverted over 200 million square feet of old ceiling materials from going to the landfill. This is the equivalent of saving 1,100,000 tons of virgin raw material!